There were no marching bands down mid-town Manhattan. No ticker-tape parades welcoming home our troops. There were no celebratory speeches before a joint session of Congress. We heard no declarations of victory from politicians or general-grade officers. The Vietnam War cost this nation dearly. More than 50,000 Americans died there. Still, the Vietnam War ended ingloriously — from an American perspective — more than 40 years ago. It ended when this nation's allies, the Army of the Republic of Vietnam, surrendered to advancing soldiers from North Vietnam. American fighting men had left the country two years earlier, leaving the struggle to the ARVN, which proved to be not up to the task of defending its country. On April 30, 1975, North Vietnamese tanks rolled into Saigon and captured the presidential palace. The NVA accepted the surrender of what was left of the South Vietnamese government, changed the name of Saigon to Ho Chi Minh City and then celebrated their victory. "The American Experience: The Last Days of Vietnam" walks us back through that time, telling the story of how the Vietnam War came to its conclusion. The end of the war did produce some heroism of its own. As PBS notes in a statement about the "Last Days" segment: "Still, over the last days in Vietnam, with the clock ticking and the city under fire, 135,000 South Vietnamese managed to escape with help from a number of heroic Americans who took matters into their own hands, engaging in unsanctioned and often makeshift operations in a desperate effort to save as many people as possible." I've had the extraordinary pleasure of shaking hands with one of the men who took part in that fateful end to one of America's bloodiest conflicts. His name is Bui Tin, who in 1975 was an NVA officer and who accepted the surrender of the then-president of South Vietnam, Duon Van "Big" Minh, who had assumed the presidency just two days earlier. I was part of a delegation of opinion writers and editors touring Southeast Asia in 1989. We met Bui Tin in a sparsely furnished meeting room in Hanoi. He told us of that day when the war ended and his country was reunited, North and South, under the communist regime. Big Minh died in 2001; Bui Tin, who's now 88, is still with us. Saigon's collapse in the face of the NVA advance has produced many iconic images that have been seared into our national memory. None perhaps is more vivid than the sight of hundreds of Vietnamese civilians — men, women and children — trying desperately to climb aboard helicopters atop the U.S. embassy in Saigon. U.S. civilian and military personnel had the painful task of telling them "no" as the birds lifted off from the embassy roof. Or, how about the images of U.S. sailors pushing helicopters and other aircraft off carrier flight decks in the South China Sea to make room for other aircraft coming in from Vietnam? The Vietnamese men who fought beside Americans during the Vietnam War would be eventually taken to what was termed euphemistically as "re-education camps." They were, in fact, concentration camps, prisons, places where the men were punished for their actions during the war. It's been said repeatedly over the four decades since the end of the conflict that the United States won virtually all the major battles against the enemy, only to lose the war. Interesting, yes? There can be no greater example of "winning the battle but losing the war" than that, I suppose. The Vietnamese patience and determination outlasted our nation's resolve to fight the war to the finish. Many Americans today still bear emotional — not to mention actual — scars from that time. Those of us who took part in that endeavor came away perhaps with wildly mixed feelings about it. Some of us supported our national effort; others of us opposed it, but served anyway, because that's what you do when your country summons you to military duty. Me? I did my time there and returned home as confused and confounded as I was when I arrived in-country. I didn't understand what we were doing there when I arrived and left the country later with bombs still falling, artillery shells still exploding — and young men still dying. The Vietnamese understood their mission. It was to unite their nation. Not quite 41 years ago, they accomplished their goal. 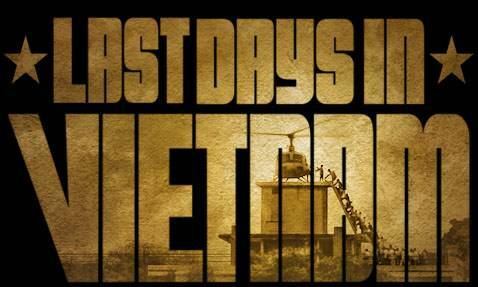 "American Experience: The Last Days of Vietnam" will air Tuesday at 7 p.m. on Panhandle PBS. "American Experience" is part of a package of acclaimed public affairs programs produced by WGBH-TV in Boston.